Is it possible to make schools more democratic with a social media editorial council? In the schools of tomorrow democracy and digitalization will be normality. 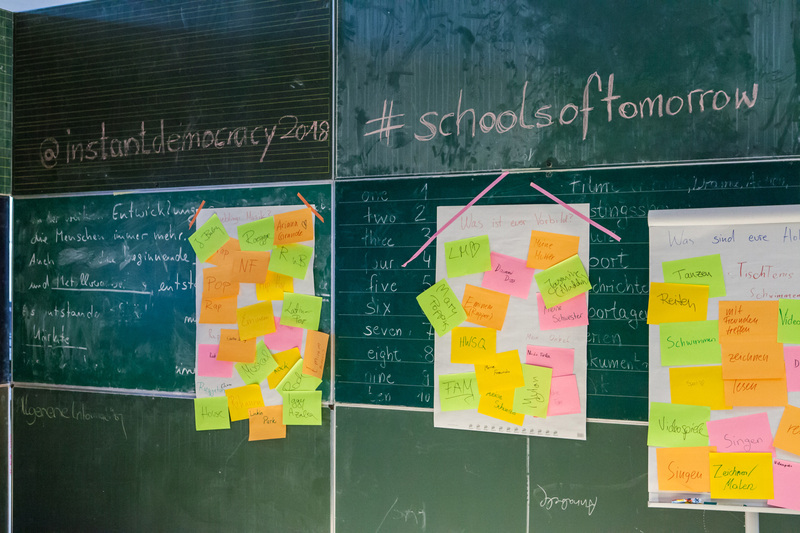 Since the summer of 2017, a group of 7th and 9th grade students which are either attending regular classes or classes of the European School have been exploring ways of using digital resources for promoting lived democracy. In digitally narrated stories they report on their joint work: Every class has established its own editorial council which manages the social media channels, voting on what they publish on the Internet. From the editorial and protocol teams to the ethics council which checks the contributions for fake and hate postings: In a joint undertaking the students discuss and compile short videos and photos, actively engaging with digital publication and democratic decision making processes. The Gymnasium Steglitz features a course of study in the classical languages from grade 5 and modern Greek in the branch of the Staatliche Europa-Schule Berlin (SESB). With the teacher Mrs. Savvantidou.